Forever lite Wedding WordPress theme is the platform which make easier for the user to show their loved and get new ideas for their wedding plan. Everyone wants something special for their wedding when they plan about it. The wedding includes friends, family of the people. 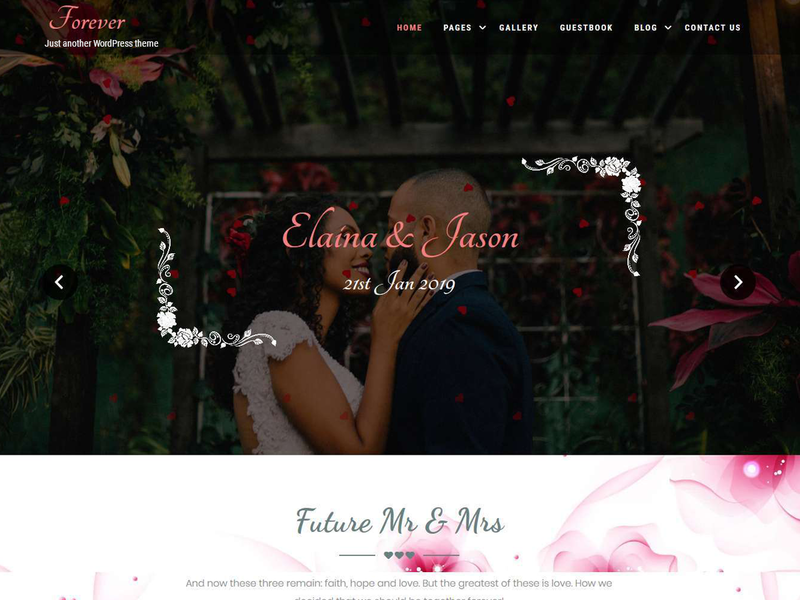 This theme is also useful for those who want to make their wedding so special because in a single website user will get all the collection of their requirement. This theme is definitely easy to understand to the user which has the sections like groom, bride, reception facility, contact us etc which has been described properly. So it becomes easy for the user to do select for their requirement. This theme is compatible with the most popular plugins like woocommerce and contact form 7.